BUILD Wins Obama Foundation My Brother's Keeper Grant - BUILD, Inc. 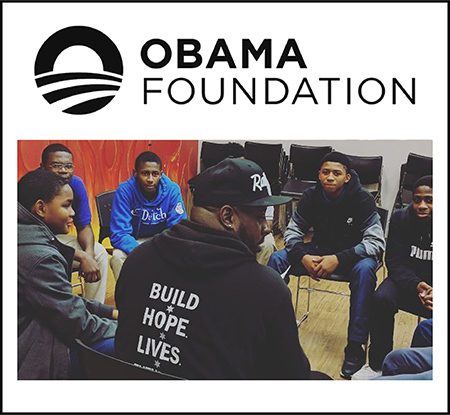 BUILD is honored and grateful to have been awarded a prestigious Obama Foundation’s My Brother’s Keeper (MBK) Community Challenge Seed Grant – one of five grants in Chicago and 19 nationwide. Our Apprentice Mentor Program (AMP) will train a cohort of BUILD youth to become our next generation of mentors – creating a pipeline of powerful boys and young men of color who make a difference today, while reaching back to support the leaders of tomorrow. Lives are being changed and saved every day by our work and the other competition winners, we are also joined by other seed grantees and Chicago Impact Award winners, and with My Brother’s Keeper Alliance as solution partners – we’ll be able to reach even more young people who are in need. We couldn’t be more grateful! Watch our MBK Community Challenge video!